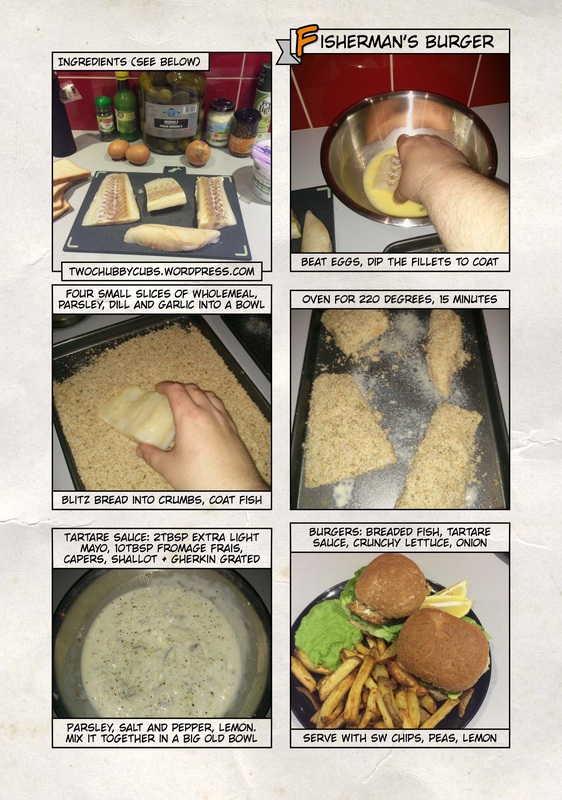 ingredients: cod fillets, skinless and boneless, lettuce, gherkins, two small wholemeal buns, four small slices of wholemeal bread, extra light mayo, fat free fromage frais, dill, parsley, salt and pepper, garlic, onion and gherkins. recipe: easy! blitz the sliced bread, garlic, parsley and dill to make crumbs, dip the fish in egg, then into the crumbs. Pop it in the oven for fifteen minutes until crunchy. Whack it into a bun with crunchy lettuce and tartare sauce as made above. Serve with chips, mushy peas and lemon. extra-easy: it’s three and a half syns per burger, and you’ll need to use your healthy extra B for the bun. If you’re having two, syn the second bun for 6.5 syns. It’s worth it though! You could make a salad to go with the bun to up your superfree though. I think (and I may be wrong) that the syns come from the crumbs, but most of that stays in the tray so I’d actually say it was 1.5 syn per burger. Bloody go for it! Fish is an excellent food – if it swims, it slims. The syn allowance would also include the extra light mayo and as mushy peas are not superfree you would need a pretty hefty salad to get your 1/3:2/3 ratio correct…… but a nice change from meat based burgers. Hi guys More fish recipes please .